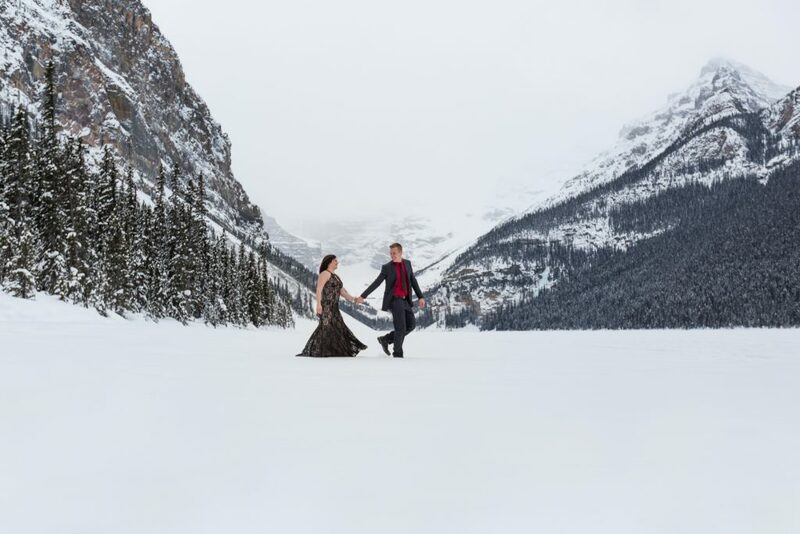 This adventurous engagement session took us to Banff and Lake Louise for a day full of winter mountain engagement photos. 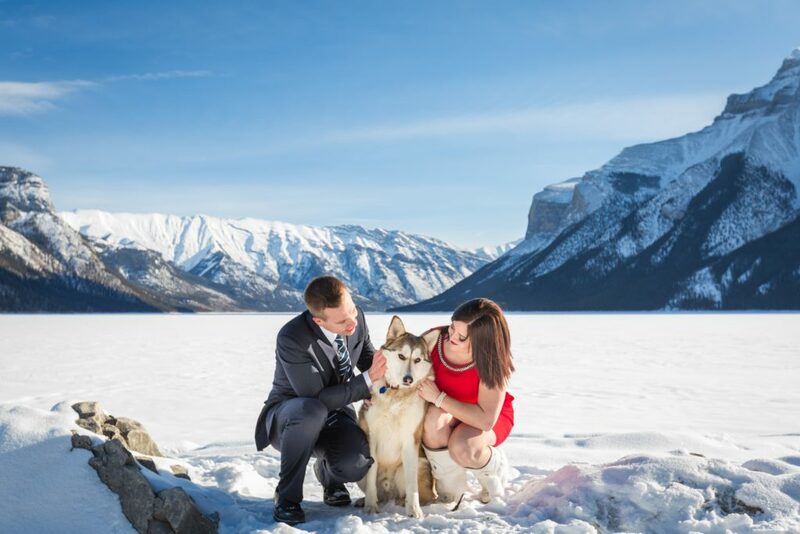 Our couple brought along their beautiful husky pups to be part of their engagement portraits. 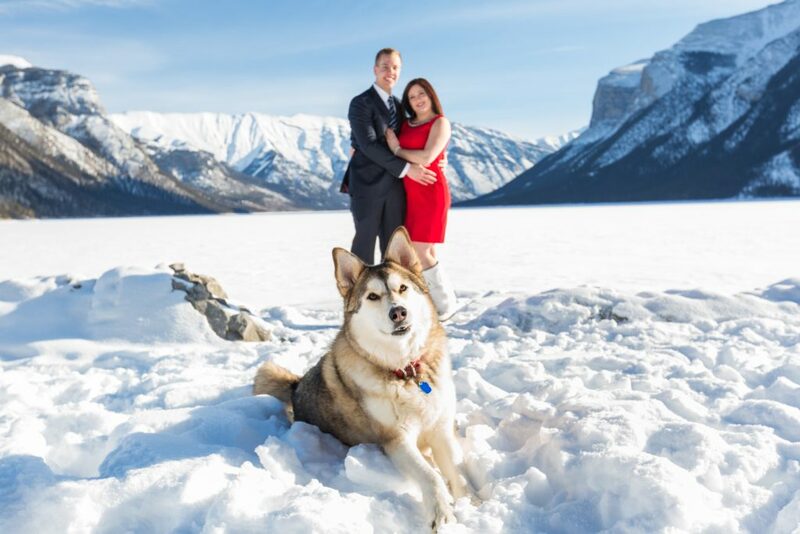 It was the perfect combination of epic mountain landscapes, two incredibly happy people and the fluffiest husky we have ever met. 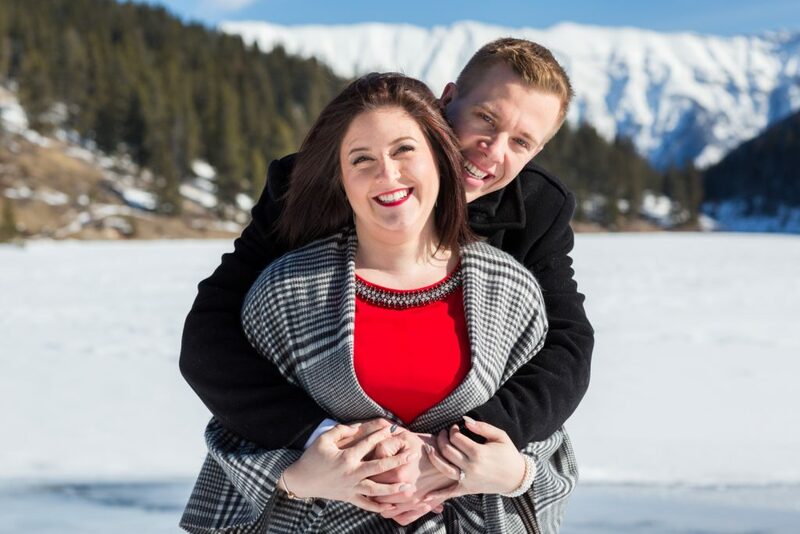 These winter mountain engagement photos are absolutely stunning. We had a bright blue sky and a fresh dusting of the whitest snow you have ever seen. 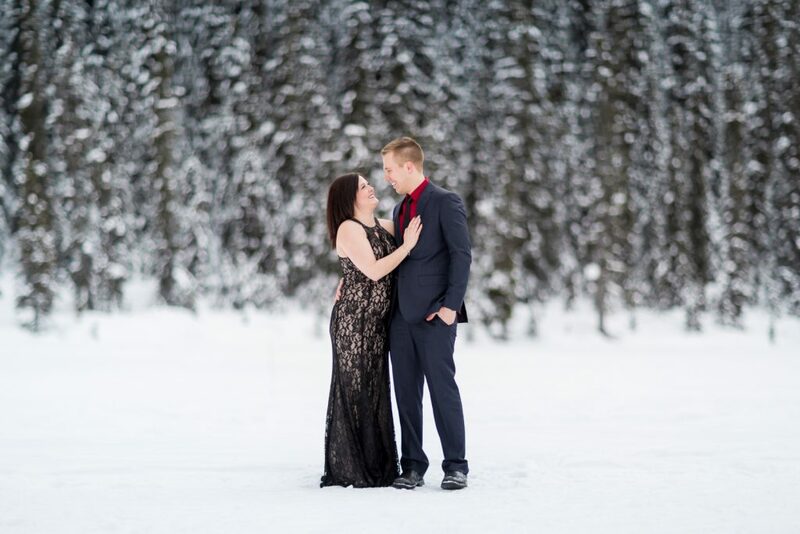 Mark and Alex drove all the way from Fort McMurray for their engagement session in Banff National Park. They wanted to showcase their fabulous sense of fashion and style so they ditched the cozy sweaters for formal wear. 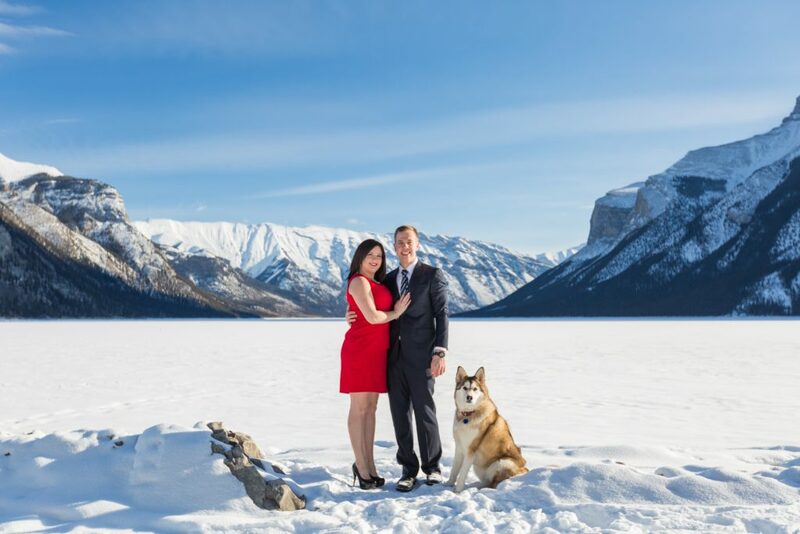 It was a bright and crisp morning when we met up with Mark and Alex at Lake Minnewanka. 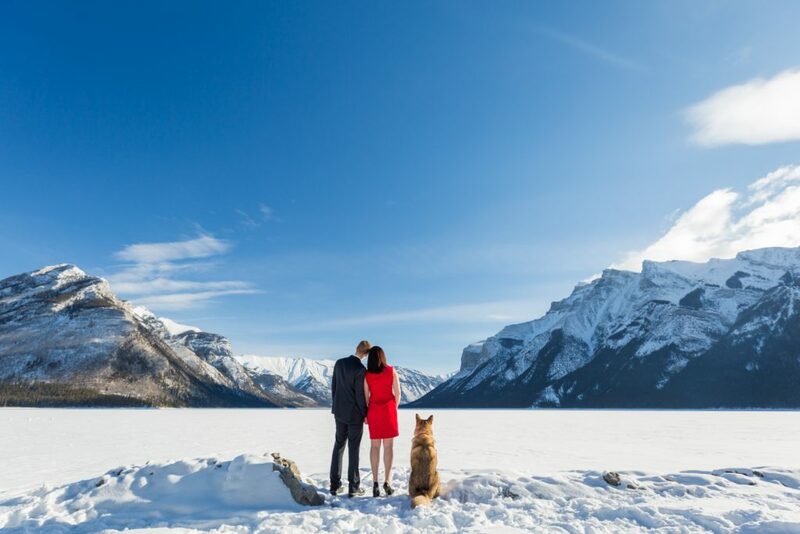 The fluffy snow and rugged mountains was a stunning backdrop for romantic engagement photos with their dog, Midas. Midas, however, stole the show with his adorable antics. 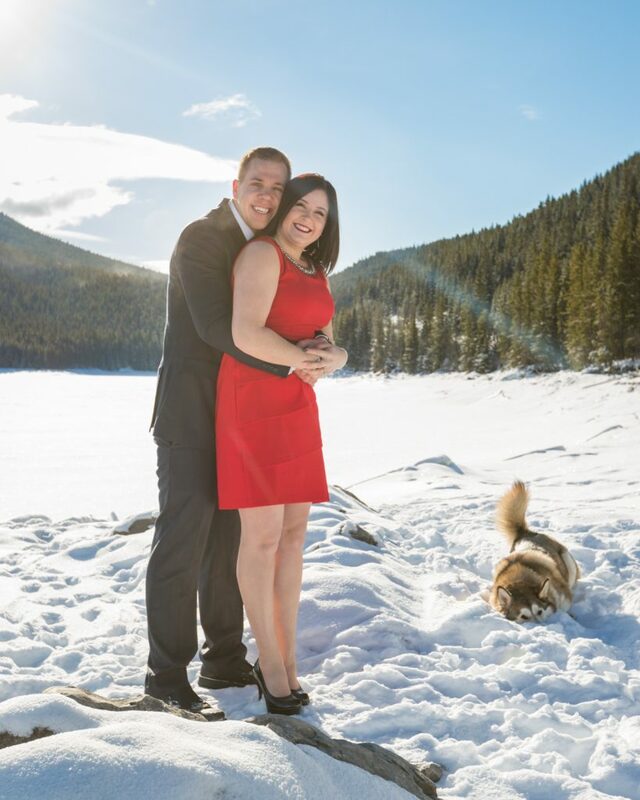 This loveable husky was so excited to spend the day in Banff and Lake Louise, playing in the fresh snow with his two favourite people. As soon as he saw the camera he was all business, posing like a real pro along side Mark and Alex. 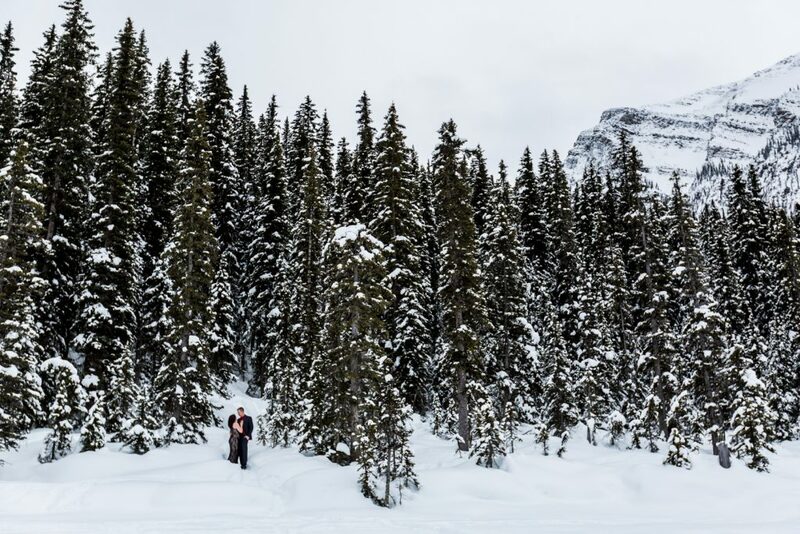 Check out the view of Lake Minnewanka in the winter! Mark and Alex just being cute. 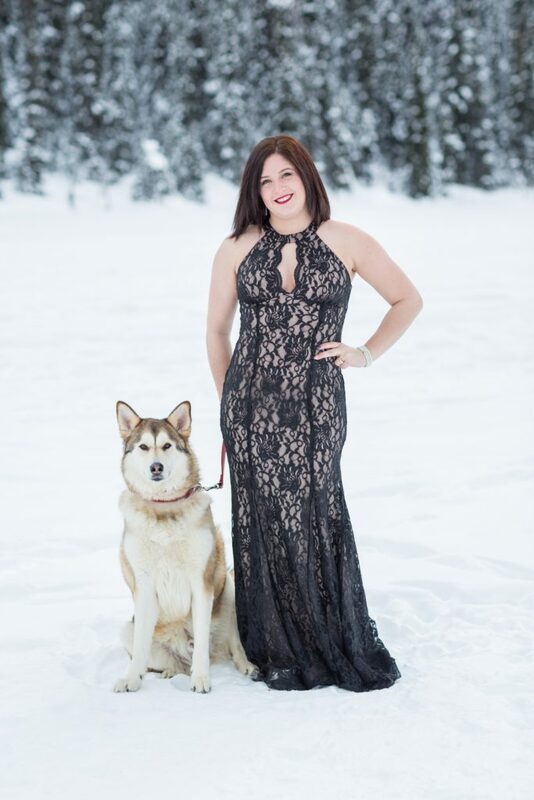 Midas is showing off and stealing the show again! Alex and Midas. Lookin’ good. Mark and Alex’s beautiful smiles! 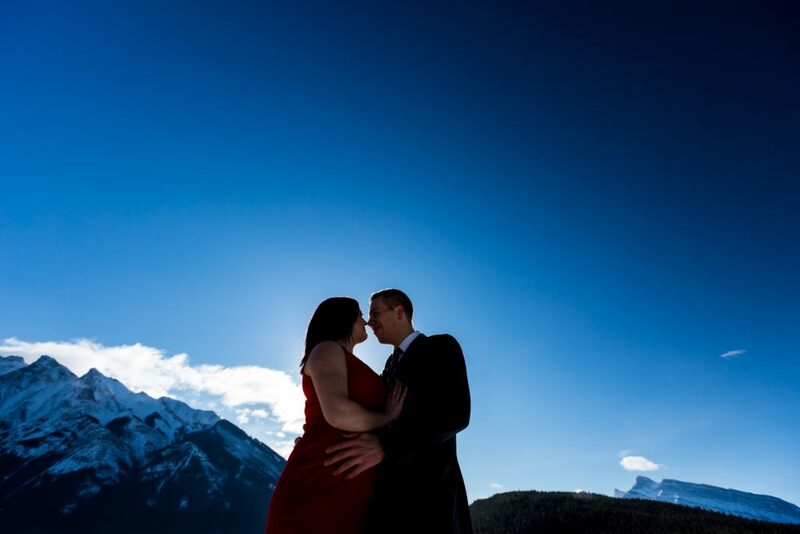 Stunning mountains for a beautiful couple! 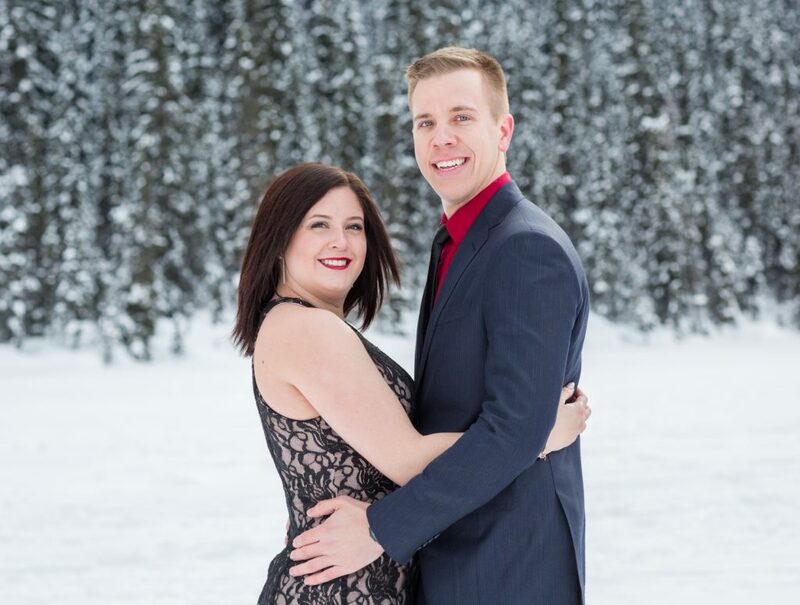 To check out Mark and Alex’s gorgeous summer wedding at Edmonton’s Oasis Centre, click here!